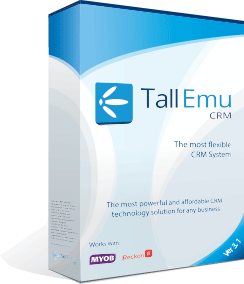 Tall Emu CRM has many functions available to your accounts team to help with reduced data entry, accuracy, mobility and timeliness of data. The less re-keying or manual data entry increase the chance of errors creeping in to your accounts data. We can surface your accounting data against your customers in various places that you may not have thought about. For instance in your Outlook or on your Mobile Phone. If you have data in either system you can easier transfer that data to either system with our level of integration. So you can for instance, Import/Export Companies, Contacts, Products, Tax codes, GL Codes, Quotes, Sales Orders, Purchase Orders, Invoices, Payments and more. Before a customer becomes a customer, they’re a lead. Leads created and managed in Tall Emu CRM can, with the click of a button transfer to your accounting system with a single click – no waiting for accounts, and no giving sales team access to your accounting software, and no double-handling or data entry errors. 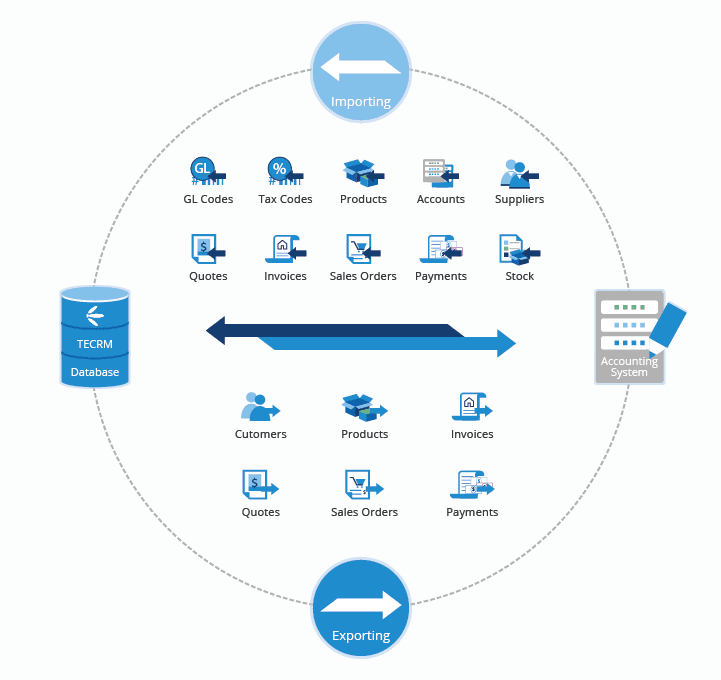 You can even automatically import and export data using our workflow business automation module. Don’t have you sales team messing around / working from your accounts System. We can also set up limited access roles so that the right level of access to financial is controlled centrally. Make use of eWay and Ezidebit to automate payments into CRM for credit card transactions or direct debits. Use automated payment reminders to improve cashflow. Easy to setup and have different rules for each customer depending on relationship or their credit history. Protect your business from selling to people who owe you money. Have account status at the point of sale and fulfillment stage so that smart decision can be executed. Do you have an excel price list, MYOB/Quickbooks price list, shopping cart price list and CRM price list? Are they in Sync? How much effort goes into data maintenance? Linking Tall Emu CRM to your accounting system, lets you maintain your prices in one place – one central source of truth – but also share this with other systems such as your shopping cart as required. Tall Emu CRM can import data from most supported accounting systems with a single-click – no messy importing and exporting of csv files to worry about and no manual processes. the total value of invoices raised.This reporting can happen at the click of a button, or, if you prefer, completely automated. Why link your Accounting software to a CRM system?